The ISOMETER® of the IR1575 series monitor the insulation resistance of unearthed main circuits (IT systems) AC, 3(N)AC 0…480 V resp. 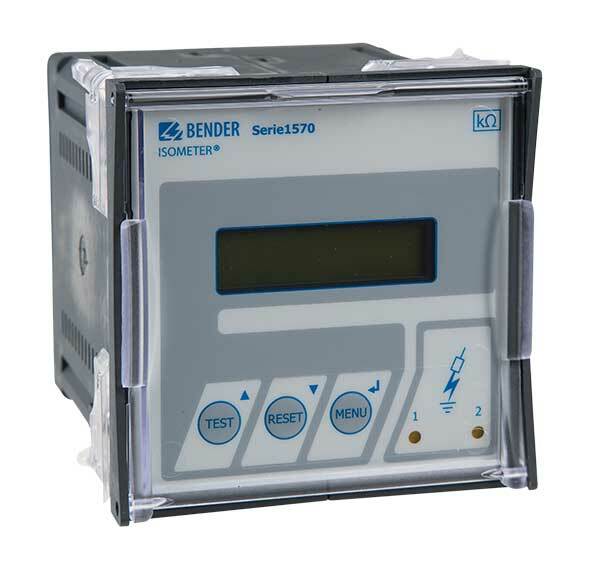 DC 0… 480 V.
The AMP measurement method allows the Isometers to be used in systems with directly connected DC components. Taking the system leakage capacitances into account, the IR1575 automatically adapts itself to the existing system conditions in order to optimise the measuring time. An external supply voltage allows de-energised systems to be monitored too. Please note that the frequency range of the IR1575 is limited to DC, 30…420 Hz. For use in systems containing variable-speed drives, we recommend to use the IRDH275/375 version.